Buying and selling bitcoin is nothing to be scared of once you understand the basics. Let’s cover some key items of the process in this post. Now that we have an understanding of what bitcoin and the blockchain is – let’s discuss how to safely buy and sell bitcoin. The fastest and easiest way to do this is by using an exchange. Bitcoin exchanges are basically the same as currency exchanges. They offer the same service accept instead of exchanging fiat currency for another, you are exchanging it for digital currency. You can create an account whether you are ready to buy bitcoin at that time or not. All you need is to supply basic information, including an email. The exchange will then send a verification email to your inbox at which point you will complete the registration process. Once you have an account setup you have the option of putting funds in by using a credit card or a withdrawal from a bank account. Depending on the method and exchange, it can take three to five business days for the transaction to process, plan accordingly. Upon funds clearing you will be able to purchase bitcoin (or other digital currencies offered). Once you have an exchange account and have purchased bitcoin; there is the other side of the equation. Selling your bitcoin! When you are ready to sell bitcoin into your local currency the exchange can handle that as well. Once the sale is complete you can then send your funds to your bank account. When people think of an exchange it’s generally that of a centralized one that holds an order book and processes transactions against the best bid and offers at the time. These exchanges are usually of a decentralized nature and offer direct peer-to-peer transactions. Think of it like a bit torrent for crypto. An example of this type exchange is http://www.coinffeine.com/. Users that transact there are paired up as opposed to just becoming part of an order book. 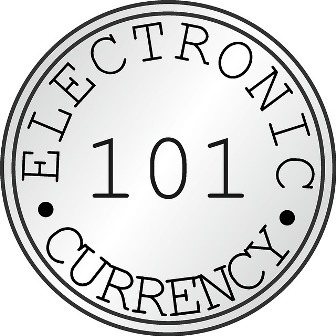 If Joe is looking to buy 1 bitcoin and Jane is looking to sell 1 bitcoin, the exchange pairs them up and has procedures in place to ensure each party fulfills the transaction. The reason someone may want to use a peer-to-peer exchange is for the increased anonymity. These exchanges do not ask you for detailed information on yourself like the regular exchanges do. In the next post we’ll discuss ways to safely store your bitcoin using a wallet. This post received a 10% vote by @eternal.witness courtesy of @Kubby from the Minnow Support Project ( @minnowsupport ). Join us in Discord. This post received a 10% vote by @netuoso courtesy of @Kubby from the Minnow Support Project ( @minnowsupport ). Join us in Discord. @minboot resteem this Post . The selection of an exchange was one of the blockers for me when I was first getting into bitcoin so this is another great topic to focus on. Keep up the great work @scaredycatguide! Thanks and yes, there are so many options it's crazy. Could have done a whole separate post on reviewing exchanges.